As a Real Estate Investor you goal is to make money from buying houses and either selling them or renting them out. To make the best profit you will want to get the lowest purchase price relative to the condition of the property and the terms you can obtain. Your goal is Finding Real Estate DEALS! If you are an all cash buyer, you are not asking for any terms, you are paying the seller off when you buy either with your cash or cash you have borrowed. The all cash buyer will want to buy at or below the price given to you by the Maximum Allowable Offer Formula, discussed in past articles. If you are buying creatively and going to hold the property for cash flow profits, you will use very little if any cash, your goal is to get the best possible terms. By terms we mean you are asking the seller to sell on some sort of payment plan. Either with seller financing or by taking over their mortgage, with the least amount of money needed up front. You are going to want to build rapport and trust directly with the seller so they would be willing consider your terms. Listed for FSBO? Should we look for properties listed by the Realtor or should we look for “For Sale Buy Owner” properties? Well that will depend on the type of buyer. Cash buyers could technically negotiate the lowest price through a Realtor, although, they would probably get better pricing direct from the seller. On the other hand the Terms buyer, will have much better results working directly with the seller without a Realtor in the way. When we first get into real estate, we know we want to buy or maybe just control houses, but when faced when finding the houses, where do we look? Think about it for a minute, do you have any others to add to the list . . . .
Now take at the above list, they are all the same right? Don’t see it? . . . .
Everything in the above list is giving you properties that the seller has put out there for sale. They’re telling the world the have a houses for sale and asking for offers. And while there is by no means anything wrong with finding houses from these resources, because they are advertising the house for sale in some way, everyone knows they are for sale. When everyone knows the house is for sale, you will have competition and right now in 2015 with it being a seller’s market, the advertised properties are probably going to sell for higher and you are going to have competition for the property. What’s wrong with a little competition? Nothing really, you will just have to fight harder and maybe pay a bit more to get the property. And when there are multiple people making offers on the same property, it makes the buyer’s more motivated to buy than the seller is motivated to sell. The seller can just sit back and take offers and pick the best one. Back when I started, the type of fixer upper, not quite perfect houses was primarily purchased by the real estate investor. However, because of the volatility of the stock market over the past 5 to 10 years, Hedge Funds have started investing in real estate, competing with the investor buyer for houses. 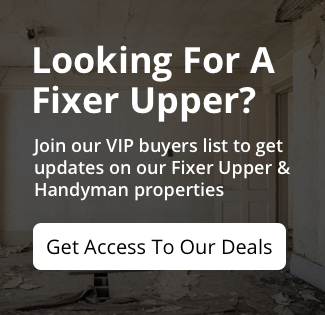 Plus with all the buy and fix up TV shows, investors are also competing with owner occupant buyers for the same fixer upper houses and the owner occupant buyer will pay way more than the real estate investor should, every time. The investor has also been competing with the new home builder for several years as well, thankfully new home builders are getting back to building new homes and leaving the investor houses along. Rather than a source of properties we want to search for motivated sellers. We might use some techniques to sift through the advertised properties for the most motivated or we might use some other methods to market for a motivated seller and have them call us. So let’s take a minute and see if we can come up with 20 different reasons of why a seller might be more motivated to sell their house to you for the lowest price or best terms. People who have a reason to sell and a deadline that they need to meet or something bad might happen. We could sit here for about an hour and grow this list probably to several pages of types of motivated sellers, but we want to figure out how to find the best deals, that’s the title of the article. So how do we find these motivated sellers? Let’s go through the top five ways. #1 – Listed Properties: if you are going to start with listed properties, you are going to want to work through a Realtor or I contend get your own license and become your own Realtor. For these listed properties you can find several tools that will allow you to enter your search criteria and then have it email you every property that comes on the market. 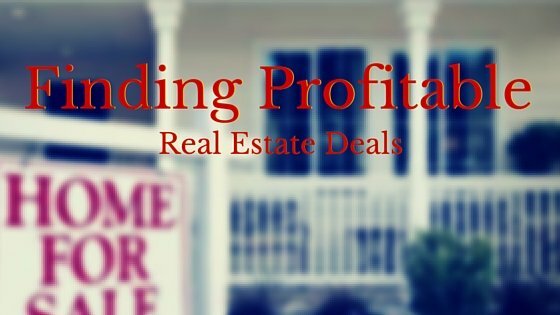 This is a great place to start if you are a brand new investor, primarily because it gets a lot of houses in front of you so you can learn your area, go look at houses and learn what is a deal. However to get the best deal, you will want to narrow your search to properties that fit your criteria. For example only in your area, with 3 or more bedrooms, with at least 1 or 2 garages and with a basement. You may want to limit to under a specific price, although personally if it’s in my area, I want to see them all and if they seem like a good prospect I go look and make an offer. The listing price is irrelevant. What are you looking for in these properties that get emailed to you? Items that indicate a motivated seller. First I look at pictures, is the yard a mess? Does the roof look in bad shape? Is the siding falling off or the paint peeling? Are there boarded up or broken or ancient windows? When we look at interior photos, is it cluttered? Is every flat surface covered with stuff? Does the kitchen need updating? Is there a lot of pink or aqua blue green in the bathrooms? Is there a lot of 80’s brass? If the pictures say it needs updated or remodeled or repaired it has potential. Is it obviously vacant? Then the seller already moved out. Very big flashing indicator that this could be a deal. Is it beautiful, like the after photos on the home renovation shows? Then this is probably an investor fixed up house and will be your competition once you remodel and list it for sale. Second look at what the text says about the property. Does it say anything like “motivated seller”, “bank owned property”, “handy man special”, “fixer upper”, “estate house”, etc? These terms are all indications of motivation. Sometimes the system you are using might allow you to search for key word terms. By far the best system to work with is the Realtors system through the Multiple Listing Service, you can set up searches for each of these key words. But remember, if you are getting a property sent to you via email, a whole bunch of other potential buyers are getting the same email. So if it is a deal, you have to act fast and bring your best offer. Bank Owned Properties: Most often a Bank Owned Property or an REO is going to be listed and found by using the above tool, however there are a few other websites you might want to follow to find bank owned properties. Three that just come to mind are HUDHomeStore.com, Auction.com and Hubzu.com. There is a technique to buying REO properties and it takes practice and building a relationship with the listing agents and/or your buyer’s agent. For now, let’s just say that offers that are all cash with no inspections or other contingencies are the strongest, but if you are new, get an inspection. And despite what the gurus tell you, do not put the words “and or assigns” anywhere on the contract and no you can’t assign a contract from a bank owned property – their contract specifically states you can’t. Whatever you do, if you focus on REO property, do not burn your bridges with the listing agents. A good relationship can mean your offer gets pushed over another buyer’s offer, simply on your relationship with the listing agent and your track record for closing deals. And you will usually never be able to buy on terms. Short Sales are also listed in the MLS and will either be a Realtor who is listing for the seller and fishing for offers or it could be a property with an investor buyer already in place they are negotiating while marketing to find a buyer. (The second category, could be considered illegal.) This is a great place to get a deal, but it does take time. So I don’t recommend shopping for short sales on MLS, unless the price has already been negotiated. If you have been doing this awhile and have plenty of available funds, you could just put in a bunch of short sale offers and if you happen to win the bid sometime, great, you get an extra house on top of how ever you are buying houses. But if you need a deal NOW, a short sale is not going to be it! #2 Craigslist: Craigslist and other similar sites where you can search for houses advertised for sale by owner can be a great resource. However, you might want to set up a system to deal with the advertisements where you make a list of all the houses available for sale AND for rent, and send an email to them with some sort of brief message that you buy houses and close quickly and ask them to call you, email you back or maybe submit on your website. Or you could make a list of all the houses for sale and the associated phone number and send a voice blast or text blast for them to call you. The motivated sellers will get in touch with you and you can then go look at, build rapport, make an offer. There is a software out there that will automate the above process, but I could never figure out how to get it to work very well. Instead, I post my own ads that I purchase houses. I post several a day everyday. And between Craigslist and our Website, we have generated a ton of leads and sourced many of the deals we have purchased. You could also check other classified sites, the newspaper or the penny saver publications. #3 Driving for Dollars is what they call it when you drive around a neighborhood looking for signs of houses for sale. However, it’s also a great way to build a list of not only the houses listed for sale or the houses with For Sale By Owner or For Rent By Owner signs, but also of homes that are vacant and / or in disrepair. Then depending on your motivation to buy houses, you could go knock on the doors and talk to people or look up the owner’s name and address up and send them a letter or postcard or in this day and age, see if you can find them on Facebook or LinkedIn and send them some messages. There is even an app, where you could snap a photo of the house and send a postcard to the owner, all from your smart phone. #4 Referrals from People You Know: This could be one of your best resources because people who the seller knows, tells them to call you or you to call them, so they are a warm lead giving you built in credibility. Be sure to cultivate everyone you know to send you leads. Let them know that you buy houses and how you work, then when they come across a person who needs to sell their home and do it quickly that they should call you. This could be people you know like friends and family, but don’t forget people you run into at the grocery store, or who make your coffee at Starbucks, or clean your teeth at the Dentist. Or you could also work to create a group of people to refer to you like past sellers, probate attorneys, Realtors and other people who might be working with motivated sellers. #5 Other Investors: There is a whole category of investor that is not buying to rehab and flip or buying to hold, they are buying to sell to you. They are called wholesalers and you want to be sure to get your name on every wholesaler’s email list so you can find out about their houses. You will find these people as you start networking at your local REIA and you will start to see their marketing as you work on your own marketing, and you might run into them at houses. Be sure to get their card, go to their website and get on their list. That fairly well covers the list we started with, but by no means has it found us more than maybe 10% to 20% of the deals. So what then, how do we find the other 80% to 90%? Well you don’t find them . . . you make them find you . . . and you do it the good old fashioned way . . . you market to them. We are not writing a whole article on marketing, rather finding, but we would be doing you a disservice if we did not highlight some marketing tools. #1 Business Card: By far one of the cheapest and best tools is your business card. Carry them everywhere and find a reason to give one to every person you meet: Your waitress at dinner, the bartender when you get drinks, the receptionist at the Dr. Office, people you meet a church . . . Let them know if they meet anyone who needs to sell their home and sell it quickly, to have them give you a call. #2 Web Site: The website does several things. First it is a perfect first impression for buyers. They get your card or other marketing piece and go to your site to learn more about you. If you make a good impression they call you. I have found that most sellers like a more personal touch rather than the big corporate company with no personalization, so be sure to introduce yourself, what you do and share articles about how you have helped other people and testimonials. Two keys are that it should have a way to post individual articles in a blog style fashion and it should have a way for the seller to submit their information. #3 Direct Mail: This is one of the top ways to market to specifically the type of motivated seller that you want to target. You can buy or build list of property owners that have code violations, or with recent evictions or that you have found to be vacant, and send letters to their owners. Or find people who own houses who have recently passed away, filed for bankruptcy or are getting divorced and mail to them. The key here is to reach out to them more than once . . . remember you know what Coke is, what it tastes like and can buy it everywhere, yet I bet you see at least one Coke ad somewhere every week . . . so your potential sellers need to see more than one direct mail piece from you. #4 Internet: This is going to be a broad range of things to reach out to people where they are to share your message and at the same time link back to your website. It would involve too much and cause a ton of confusion to go into detail. Let’s just say you make post articles on your website, then share those articles to your social media, get people to like and share. Google will notice that. Also these articles we write use a lot of key words that Google also sees. So when a seller goes to Google, enters some of those key words in a search, Google gives them your website as an answer to their search. To boost your internet results you might also want to learn about Google Adwords and Facebook ads, that is my next area personally to start using. #5 Signs: You may have heard the song Signs, Signs everywhere are Signs . . and that is just what you need. Most guru’s teach about Bandit Signs, little plastic signs that you post along the side of the road that say “I Buy Houses” . . which work well, but the sign police could charge you a lot in fines, so check out the regulations regarding those signs. But there are 100’s of other signs that you can put on your car, on your shirt, on your coffee mug, on a billboard, on the public bulletin boards, on the side of your contractor’s box truck, on a banner on the front of the house you are renovating, in your front yard . . . I think you can get the idea. In this category we are also going to include door hangers, you know the things you put on a door knob. This are great to go out and paper a target neighborhood, and as you walk around hanging the signs, talk to people, knock on doors, ask about vacant and run down houses, you might get a lead there. Hopefully this has given you some ideas. So get busy and go out and find some potential deals, go look at some houses, talk to some sellers, evaluation some property and make some offers. 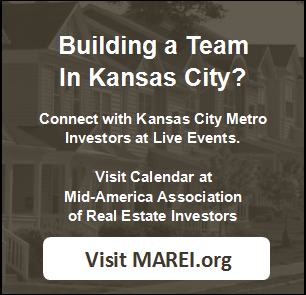 We will be talking more in detail on ways to find good deals on my Elite Investor Series of Web Classes offered through MAREI.org. Be sure to look for them on the calendar of events.